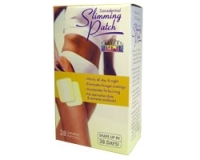 Slimming Patch is highly effective weight loss patch. After years of research, it was discovered that the unique combination of 9 weight loss ingredients applied to the skin (transdermaly) combined with a sensible diet help cause weight loss. This patch helps to promote weight loss when used in combination with a healthy diet and exercise. Exercise and a proper balanced diet are essential for losing weight. 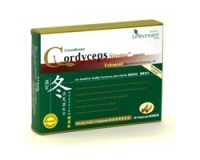 Slimming Patch can help to achieve your weight loss goals naturally and safely. - Melts fat away gently. 24 hours a day. - Works 24 hours all day & all night. - Keeps you feeling full, even when you are not. 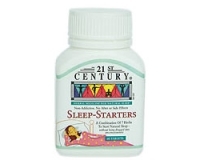 - Place 21ST CENTURY slimming patch II on an area of lean, dry and preferably hairless skin. - Remove used patch after 24 hours and replace with a fresh patch on a different part of your body. 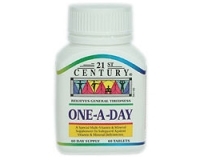 - Product should be used continuously for a minimum period of 30 days for noticeable results. Slimming Patch II is NOT RECCOMMENDED for pregnant women or those who are breastfeeding, the elderly, those under 18, anyone with an eating disorder, diabetes, heart problems, thyroid disorders, hypoglycemia or those who are lactose intolerant, allergic to glucose or iodine. Those taking medication or who may be seriously overweight should not follow this or any other weight loss or exercise regime prior to consulting their doctor. For external use only. Keep out of reach of children. - Fucus Vesiculosus – Its active ingredient iodine, increases the metabolism of fat to speed up weight loss. It has been researched and accepted by the UK Medicines Control Agency (MCA) for the treatment of obesity. - 5-HTP – Extracted from the seeds of an African plant (Griffonia simplicifolia). Scientifically proven to reduce appetite and hunger. Guarana – The main ingredient of guarana, guaranine, reduces appetite naturally. - Zinc Pyruvate – The new compound increases fat burning and increases lean muscle formation. - Yorba Mate – A plant extract that eliminates hunger pangs, even when you haven’t had food for 12 hours. - Flaxseed Oil – Contains two polyunsaturated fats – linoleic and alpha-linolenic acid – which speeds up weight loss. Lecithin – Contains two natural FAT BURNERS, choline & inosital, which are essential for the breakdown of fats. L-Carnitine – A very special Amino Acid that causes fat loss by consuming body fat to create energy. Zinc Citrate – Increases carbohydrate metabolism. Burns calories from carbohydrates..